The human body is a universe unto itself; a vast, intricate system of incredible sensitivity and detail. It has been the subject of wonder, philosophy and scientific study for centuries, yet its most elemental design is still shrouded in mystery. What is the relation of biological life to the Cosmos – to the fabric of space and time itself? Is our body the “earthen machine” of Descartes, an “automaton” of discrete mechanical function? Are we really locked in an endless struggle against the ticking clock of thermodynamic entropy – of increasing disorder – as is the view of contemporary physics? 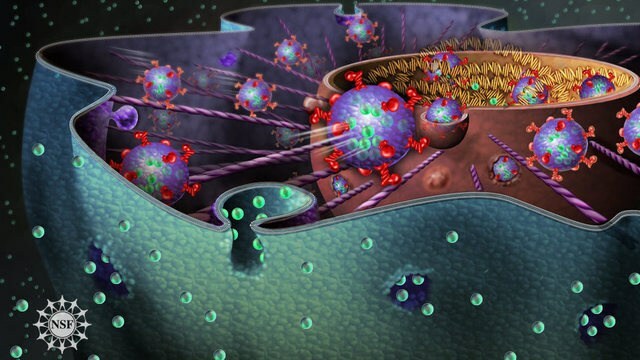 The building block of life, the biological cell, is an entity of astonishing coherency; billions of chemical processes take place within it every second – metabolism, molecular transport, gene expression, DNA replication, extracellular communication, reproduction, cell differentiation, just to name a few. There are 50 trillion cells in the human body and their combined DNA unraveled would cover the distance from the Earth to the Sun well over 400 times! All of this co-operates beautifully to maintain a living, breathing organism adapted for interaction with an exterior universe of innumerable physical processes. What underlying physics can account for such extreme levels of organization? The laws of thermodynamic entropy do not readily explain the complexity of biological evolution, nor can it account for the elaborate function and co-operation of cells. In terms of conventional physics several questions beg to be answered in this regard, for how do 50 trillion cells act in flawless symphony? Or what natural process compelled the inert minerals of ancient Earth to form intricate cellular machinery in the first place? Calculations by laws of probability indicate that the time needed for universal forces to generate even as much as a single blade of grass by processes of trial and error would vastly exceed the postulated age of our universe, not even to mention the entire biosphere of Earth. Obviously there is a self-organizing element present here, a naturally inherent movement towards order and coherency; left alone the universe will produce incredible complexity on its own accord. Another problem in our contemporary physics is known as the “anthropic principle”, a hypothesis put forth as a possible solution to a central question in modern cosmology: why and how did we end up here? For an as yet unexplained reason, our vast universe seems carefully tailored for the creation of complex life forms. The physical parameters of the natural forces that enable atomic structure, and thus molecular composition, are precisely where they need to be to form stable molecular chains such as the DNA-strand. Had, for example, the Strong force connecting the atom been a fraction higher or lower, biological life would be impossible. As would the fact that you are reading this text, which is what led to the anthropic principle: we are here because we live in a universe that allows us to be here. Sure enough, it’s a simplistic and circular argument, loosely based on the idea that there are countless universes out there, each one with different physical laws, ours being one that happens to allow life, and thus – us, and you reading this article. As is appropriate, many are dissatisfied with this hypothesis as it is logically circular and fundamentally unprovable. In short, there is a pre-eminent problem with modern physics, namely us – Life. Everything works pretty fine with current models but the presence of life poses a significant challenge to them. However, a unified theory of physics should be able to explain universal processes, from the microscopic to the macroscopic, including life, consciousness and everything it entails. Until such a theory exists, we really cannot claim to know what kind of cosmological phenomenon we really are. Our vision of ourselves is still incomplete. The notion of a universe moving towards ever increasing disorder is disproven by our very existence; the living, breathing human body is a system of incomprehensible interconnectivity, intertwined with the universe at the very quantum level, and, as we shall see, the underlying matrix making this organization possible is the very space in which it exists. To find the ordering principle foundational to creating and maintaining the human organism we must look beyond the biological form, into the very fabric of the space in which it arises. As the reader will know, the fractal-holographic model proposes that space is not empty but full; a plenum or a zero-point field containing potentially infinite energy. In this view matter emerges as a function of space, not vice versa, and it naturally condenses into toroidal/spherical systems, conforming to the topological structure of space-time itself, of expansion, contraction and spin. In Nassim Haramein’s recent paper, Quantum Gravity and The Holographic Mass, very precise predictions concerning fundamental characteristics of the atom are achieved by describing the proton mass as the result of holographic physics and universal entanglement through the vacuum of space. From this viewpoint the source of material organization, intracellular coherency, and even consciousness, lies not within physical processes of the body, but are rather causal phenomena issuing forth from fundamental qualities of space-time itself, from the very field of energy sustaining the universe. Yet as this field is nothing but pure potential, being non-dimensional and infinite in nature, it is also by definition the pinnacle of order and organization – all points unified. Thus the *entropic, randomized universe meets its counterbalance in the **negentropic, coherent vacuum of space. From this premise we may understand the phenomena of Energy in two distinct forms; kinetic and potential energy, synonymous with the manifest and unmanifest, the dynamic and absolute. Potential energy is static, orderly and balanced, while kinetic energy, which is energy in motion, is inherently unbalanced, in a state of continually increasing entropy, disorder and decay. Kinetic energy equals expansion, spin, visible radiation and heat, while potential energy creates the opposing movement of contraction, thermal equilibrium and absolute zero degrees. By understanding the unity of these opposites, of entropy and negentropy, of chaos and order, of generoactive and radioactive processes, and how they act upon our world, we may come to realize that reality, at its most fundamental, is an expression of universal coherency, integrity and balance – an expression of cosmic singularity. There are thus three fundamental modes of spatial motion in the universe – expansion, contraction and spin. The universal forces known as Gravitation (contraction) and Electromagnetism (expansion) are effects arising from these very dynamics of space. Expanding space is radiative, moving towards heat, disorder and increasingly useless forms of energy. Moving out in all directions, towards maximum volume vs. minimal stability, its spatial geometry is that of a sphere. Contractive space, however, is generoactive – moving towards coolness, higher order and universal coherency with the zero-point field. Contraction is a movement towards minimal volume and maximum stability, expressed geometrically as the tetrahedron. Being non-radiative and implosive the tetrahedral geometry of space is not visible to the naked eye; it belongs to the unmanifest realm of pure potential, hence it is the geometry of hyperspace. The geometry of hyperspace achieves a completely balanced condition in the basic 64 tetrahedron grid; a tetrahedral crystalline lattice structuring the fabric of the universe. Centering every black hole system – every galaxy, star, cell or atom – there is empty space, the still point of static potential energy, which provides a relative center of rotation for the system to revolve about, like stillness in the eye of a hurricane. This unmoving center rests in a state of thermal equilibrium – absolute zero degrees. It is a perfectly cool stillness which allows for kinetic energy; motion, rotation, friction and the resulting heat and expansion to occur. Surrounding this static center is the event-horizon; a naturally occurring boundary of balance where the forces of contraction and expansion are equal in strength. As our own universe is the inside of a giant black hole, looking through space at the transparent darkness of the cool night sky, we are actually witnessing the source of order in the universe, the plenum uniting, connecting and balancing all things in its majestic, silent embrace. However, there is only one basic element of matter capable of closing the feed-back loop of generoactive and radioactive forces, thus conveying through the physical form such order and complexity expressed in biological life; namely the element of Water. Although the H2O molecule itself seems fairly simple, water is far more complex than its chemical formula seems to indicate. Water enjoys a very special position in the grand design, and it is notorious for rebelling against all existing models and comparisons when viewed on par with the other elements of the periodic table. Chemically, water exhibits a wide range of properties exceptional in Nature; among these, thermal qualities essential for biological life, such as a large heat capacity, high thermal conductivity and a high latent heat of evaporation among many, many others. More significant in the context of this theory, however, is the fact that water has a unique tetrahedral molecular configuration and is thermodynamically inversed; it is the only element expanding when cooled and contracting when heated. These properties make the element of water harmonically tuned to the geometry of hyperspace, providing a link closing the feed-back loop of expansion and contraction, a link between entropic and negentropic forces in the universe. On a molecular level water is highly cohesive; the hydrogen atoms of one molecule easily attract the oxygen atoms of surrounding molecules, thereby organizing itself into crystal-like grids which are able to store or transduce vibrational information. Being the exact geometry of the vacuum, the crystalline structure of water functions as a perfect conduit for coherent information exchange between hyperspace and biological systems. 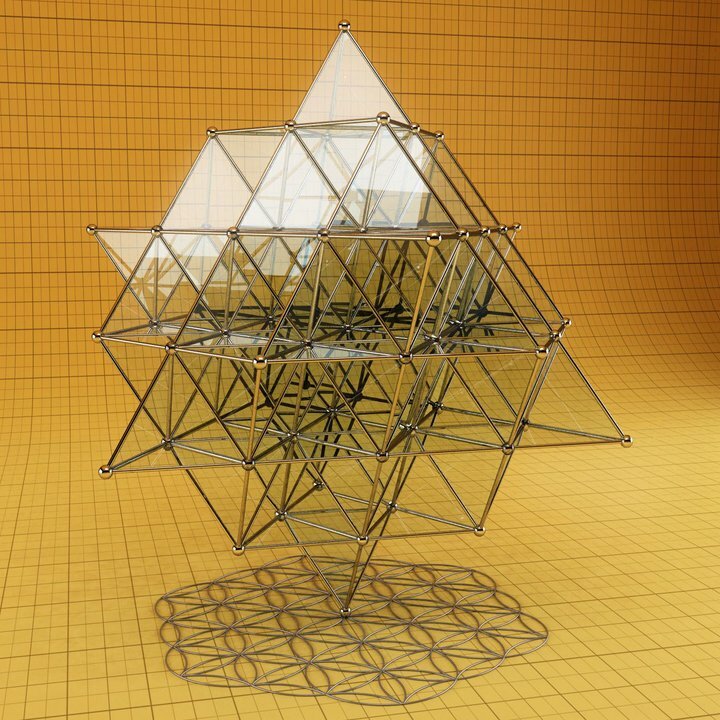 Nassim Haramein suggests this tetrahedral configuration produces a spin function in the structure of space, which forms a resonance link to the fluid dynamics of the water molecules. Through this resonance, coherent information reverberates through its construct, propagating negentropic processes into the material form – processes that move towards higher states of order and complexity, mirroring the harmonic frequencies of the vacuum geometry, a mechanism possibly crucial to uphold the complexity of the DNA molecule. Biological organisms are largely made up of water and, as we have seen, endogenous water may be central to understanding the complexity of metabolic life forms. Recent findings suggest the highly structured macro-molecules of water indeed may be the element responsible for structuring and supporting the composition of the DNA strands. Water surrounds and contains the nucleotides and atoms comprising the double helix, and may serve as a conduit for information transmitting frequencies from the vacuum hyperspace. This phenomenon was actually demonstrated in a remarkable experiment by Nobel Prize winner Luc Montagnier wherein water and very low electromagnetic frequencies alone were used to create DNA molecules, just from its rudimentary chemical components. The experiment provides a compelling argument for the idea that water inherently possesses the ability to convert high entropy energy into states of lower entropy (higher coherency), thereby acting as an ordering agent, moving energy from incoherent, random states to coherent, organized forms – like the DNA spiral. Moment by moment, every atom of every molecule, both organic and inorganic, is being changed and replaced. Every one of us within the next seven years will have a completely new body, down to the very last atom. Even the chemical codons of the DNA molecules of your body will swap and switch countless times before sunset. Amid this constancy of change, where can we find the carrier of continuity, organization and structure? The answer lies in the geometric principles and proportions of hyperspace, the ideal world of eternal, unchanging geometrical absolutes. In this regard, it is interesting to note that the DNA spiral is composed of 64 codons, precisely matching the 64 tetrahedron crystalline geometry of hyperspace. We can imagine the DNA molecule of the human being as the result of millions upon millions of years of resonance imprints, or “memory patterns”, mediated within and through the vacuum. The gravitational field absorbs information into this field so as to tune its various expressions (i.e. various biological forms) to optimally fit the universe in which it exists; an evolutionary system of incredible connectivity and balance. The fundamental dynamic of the universe is that of expansion and contraction – a continuous feed-back loop of information radiating out and absorbing back on itself. Similarly the human consciousness is also a feed-back loop of information. The external world contracts into our being through innumerable physical processes, a fraction of which are filtered as sensory impressions in the body and the brain. Simultaneously there is the body and its countless atoms radiating energy, acting outwards in the universe merely by existing. Consciousness results from this boundary condition, this event-horizon, between absolute and dynamical energy, where information is absorbed inwards to the infinite non-local vacuum field and radiated back out to the finite external world. Consciousness is simply information being processed. Thus the individual is not the only one experiencing reality, but reality is experiencing itself through every individual, through every atom. The source of consciousness does not originate within the body or the brain, but is rather a quality of the topology of space-time itself, of the fundamental dynamics and function of an information processing black-hole-universe. As such, the biological body is more like a transceiver of consciousness, and not its originating source. To find the conduit of consciousness then, we must again look to the crystalline geometry of water within the human form. 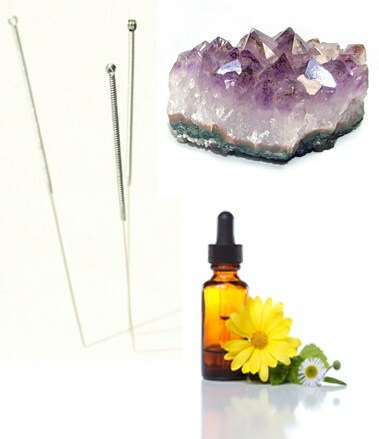 A crystal is simply a structure whose molecules are arranged in a regular, organized pattern. Characteristically, crystals resonate or oscillate at specific frequencies, and some crystals are also piezoelectric, i.e. they respond to mechanical stress by generating an electrical pulse. Both of these properties are frequently utilized in the field of electronics and computer engineering, e.g. with the purpose of producing radio transmitters to tune and stabilize specific frequencies. Looking for a conductor of vacuum information connecting the physical body to the space-time continuum, we could look to the crystal-like systems within the body. In fact most structures within the human organism can be described as crystalline. The DNA molecule itself also displays the same crystalline organization, as do the skeletal bones of the body. Both of these are also piezoelectric and will respond electrically upon a mechanical impulse from their environment. In fact each organ, gland, nerve system, cell and protein structure shows a level of organization with some degree of crystalline function, and together they form a network of oscillating, resonating structures that form an overall organized and coherent resonance pattern; thus in terms of physiology and physics, human beings can better be understood as vibrational biocrystals; open systems in continuous resonance with the frequencies of hyperspace. There exists no definite border between electromagnetic fields maintained by the body’s metabolism and those that exist in the environment. As such, we may think of the human body as merely a denser crystallization of space itself. The human body consists of 75% water, and our brain about 90%, yet the importance of this fact is often underestimated. In fact, infants born with mostly water in their brain (hydrocephaly) respond consciously to stimuli, and overall they function perfectly, yet only a very small portion of their brain is composed of neurons. In other words, we are fully conscious and aware even with very little grey matter in the brain – yet if we remove the water, life will collapse. Consequently, water may act as the medium through which the vacuum hyperspace extends into complex physical form – through the resonant element of water the fractal of biological growth and evolution is made possible. Contrary to common belief, the biological cell is a highly energetic object; its phospholipid membrane and inner structure of microtubules oscillate at extreme intensities measured to 1014 Hz. In the fractal-holographic model each cell can actually be compared with a very tiny black hole entity. 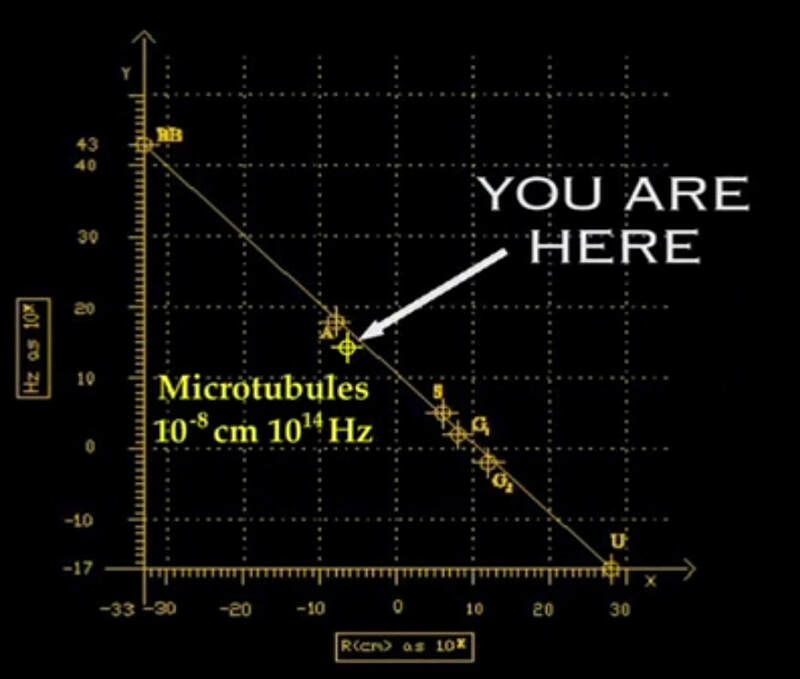 In Haramein’s and Raucher’s “scaling law” we may even see that the energy output of microtubules within biological cells, in terms of frequency vs. radius, are in a linear, harmonic match with other black hole systems in the universe (i.e. galactic nuclei, quasars, stars, mini-black hole atoms etc. ), suggesting that cells themselves are a natural scale resolution of the universe, a biological resolution, situated right in the middle of the micro-cosmos and the macro-cosmos, inbetween atoms and stars on the cosmic chart. Not only does this finding implicate an abundance of biological life in the cosmos, but it puts the human being in the center of his own anthropic universe. In this view the human body is composed of trillions of mini black hole cells in crystalline organization, all harmonized around the pulsating coherent field of the human heart. This entire systems forms, in symphony, an event-horizon absorbing information from the macrocosmic to the microcosmic world, thus feeding the unified vacuum field with its data of experience. Each event-horizon represents a different point of perspective, a unique geometric position in the cosmic fractal, providing its own particular bit of information to the whole. Altogether, this “extension of space” is a finely-tuned, self-organizing system of incredible sensitivity and complexity, capable of registering the most minute impulse from its environment. As we have seen, through the medium of water the biological body literally crystallizes from the vacuum hyperfield, and this dense crystallization of energy seems to be merely the visible aspect of multiple layers of resonant crystalline energetic structure, the totality of which extends in an unbroken continuum from the level of gross matter to the causal realm of complete emptiness – the state of equilibrium. This hypersensitive holographic biocrystalline system continuously tunes with our own conscious (and unconscious) feed-back loop of psycho-emotional states; the interpretations we make of the field affect our universe, and in turn the universe affects us – a natural balance of creation and co-creation. 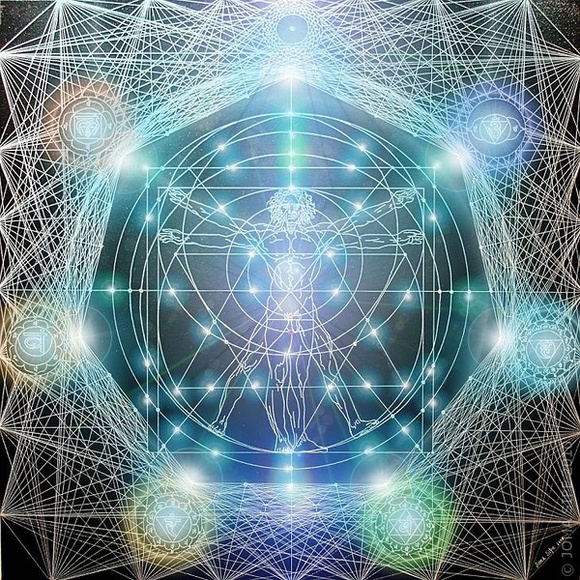 As we consciously enter a state of internal balance, the various energetic layers of the biocrystal will oscillate into higher degrees of organization and coherency. Within every core there is equilibrium, which means universal unity, thus the more centered we are the more obvious becomes our connectivity to all things. All this considered, we may come to a new view of Man, a view of inherent universal balance, coherency, co-creation and connection. The geometric proportions of hyperspace is a blueprint of Creation, directing the formation of universes, quasars, galaxies, stars, planets, cells and atoms. It extends itself simultaneously through all these scalar dimensions and eventually observes its own mystery through the eyes of a self-aware entity. The human form is nothing less than a holographic projection of the harmonic geometry of hyperspace – a natural crystallization of Totality itself.